This story first appeared on TravelOregon.com. 1. 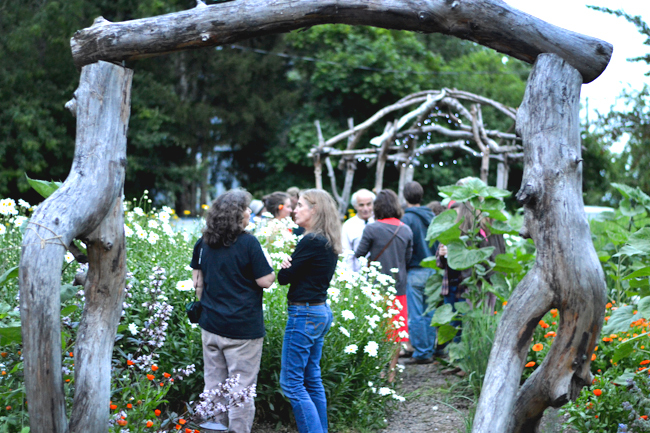 Start your journey in Albany with a walk through the wild loveliness of Midway Farms, a 100-percent organic farm whose owners are so serious about working in harmony with nature that they leave certain plots of land undisturbed to promote healthy insect habitat. Old-fashioned fruits like quince and gooseberry grow side-by-side with herbs, flowers and veggies, and visitors are welcome to wander through it all. Bring your kids to a farm day camp in the summer or bring a friend to one of Midway’s seasonal wine and cheese tasting parties with live music. 2. Head north to Salem, where the melt-in-your-mouth goodness of Cherry Country Orchard will make your tastebuds happy whether you’re searching for fresh fruits or delectable desserts. Located in the hills west of Salem, the farmers at Cherry Country Orchard grow 37 acres of fresh cherries, then make a good thing even better by dipping their bounty in chocolate. Visitors can sample fresh, dried and chocolate-coated cherries at the farm and candy factory. 3. Continue through the Willamette Valley’s green fields and rolling hills, northward to the farmland outside Molalla, where you’ll find Rosse Posse Acres, a farm like nothing you’ve experienced before. Yes, it’s a working ranch, where the Ross family raises flavorful local elk meat that finds its way to fine kitchens all over Oregon. But it’s also a place where visitors can get up close and personal with majestic herds of elk in a way you won’t find anywhere else. 4. From Molalla, turn west toward the Willamette River. There, in the heart of Oregon Wine Country, you’ll come upon Champoeg Creamery, where a handful of contented Jersey cows graze on green pastures, and family farmers turn that goodness into fresh milk and cheese. Customers drive for miles to purchase Champoeg’s farm-fresh milk, and adults and children alike can sign up for classes and camps to experience hands-on farm tasks like milking the cows, hunting for eggs and making cheese. 5. Do yourself a favor and come hungry when you visit Gathering Together Farm outside Corvallis. The Farmstand Restaurant at Gathering Together takes grown-on-site organic produce and turns it into mouthwatering brunches, delectable salads, wood-fired pizzas, and more. If you can’t stay for a full meal, grab a house-made pastry or loaf of bread and munch while you browse the selection of veggies, local honey, jams and jellies. You’ll leave with a full belly and a happy heart. 6. If Gathering Together wasn’t proof enough that everything tastes better on a farm, Agrarian Ales will win your heart (and your tastebuds) entirely. This family-owned chili pepper farm turned brewery produces farm-brewed beers that will knock your socks off. And while you’re barefoot, you might as well play — Agrarian’s onsite pub and brewery features yard games, a giant Jenga set, and even hula hoops. Unleash your inner child and enjoy yourself while you sip craft beverages and farm-inspired dining just north of Eugene. 7. An honorable mention on any list of seven top farms in Oregon Wine Country goes to Willamette Valley Farmers’ Markets. Any day of the week in the Willamette Valley, you can find local producers setting up tents in vacant fields and city parking lots, putting their best berries and prettiest peaches out where foodies can trek in to purchase their local food nirvana. 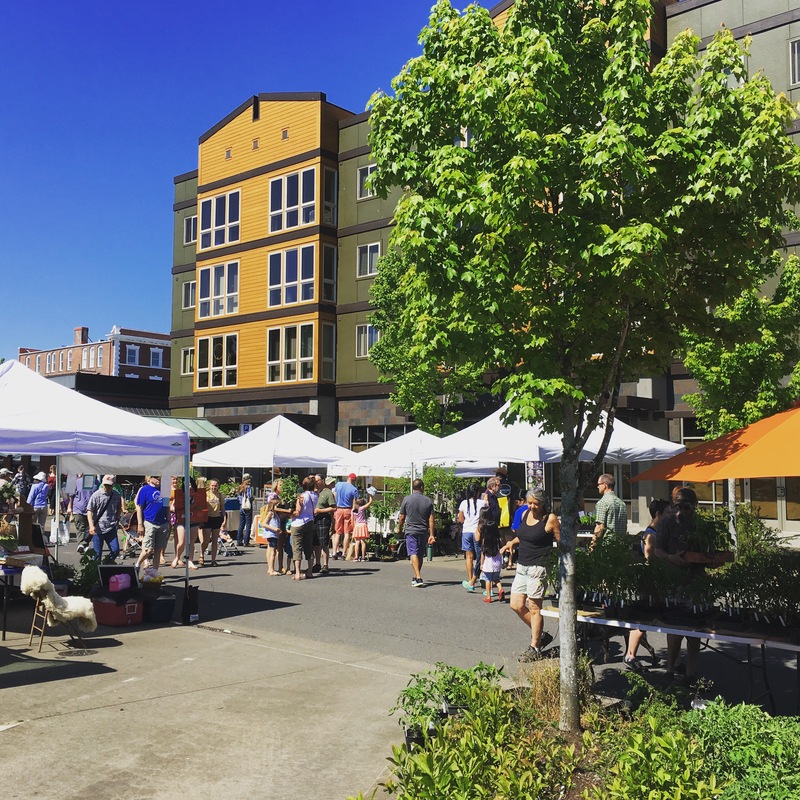 Whether you’re searching for artisan cheese, fresh berries, Oregon hazelnuts, or one of the multitudes of other crops that we’ve perfected in the Willamette Valley, there’s a farmers’ market not far away where you can find the mouthwatering morsel of your dreams. Straight from our farms to your table — because that’s how we do things in Oregon.